Autonomous agents negotiating on our behalf find applications in everyday life in many domains such as high frequency trading, cloud computing and the smart grid among others. The agents negotiate with one another to reach the best agreement for the users they represent. 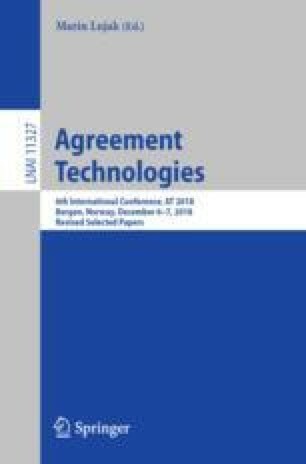 An obstacle in the future of automated negotiators is that the agent may not always have a priori information about the preferences of the user it represents. The purpose of this work is to develop an agent that will be able to negotiate given partial information about the user’s preferences. First, we present a new partial information model that is supplied to the agent, which is based on categorical data in the form of pairwise comparisons of outcomes instead of precise utility information. Using this partial information, we develop an estimation model that uses linear optimization and translates the information into utility estimates. We test our methods in a negotiation scenario based on a smart grid cooperative where agents participate in energy trade-offs. The results show that already with very limited information the model becomes accurate quickly and performs well in an actual negotiation setting. Our work provides valuable insight into how uncertainty affects an agent’s negotiation performance, how much information is needed to be able to formulate an accurate user model, and shows a capability of negotiating effectively with minimal user feedback. This work is part of the Veni research programme with project number 639.021.751, which is financed by the Netherlands Organisation for Scientific Research (NWO).